The city is located in the southern part of the United States and central-north of Texas. 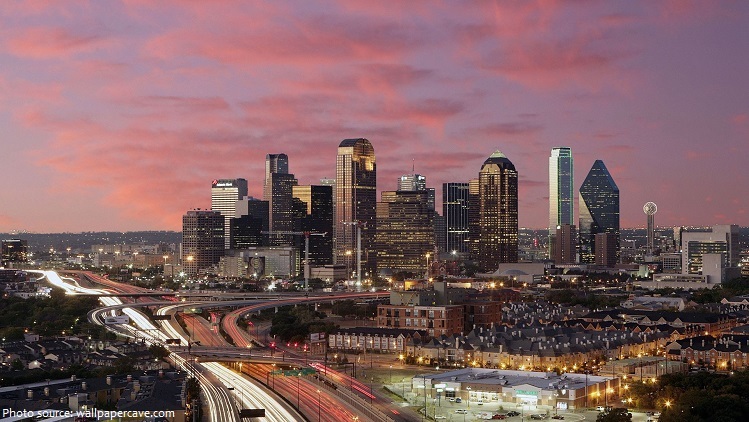 As of April 2019, the population of Dallas is about 1.35 million people. It is is the 9th most populous city in the United States and the 3rd most populous city in Texas (after Huston and San Antonio). 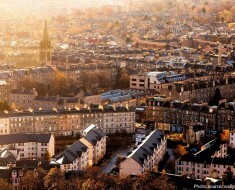 The city covers a total area of 1,000 square kilometers (386 square miles). 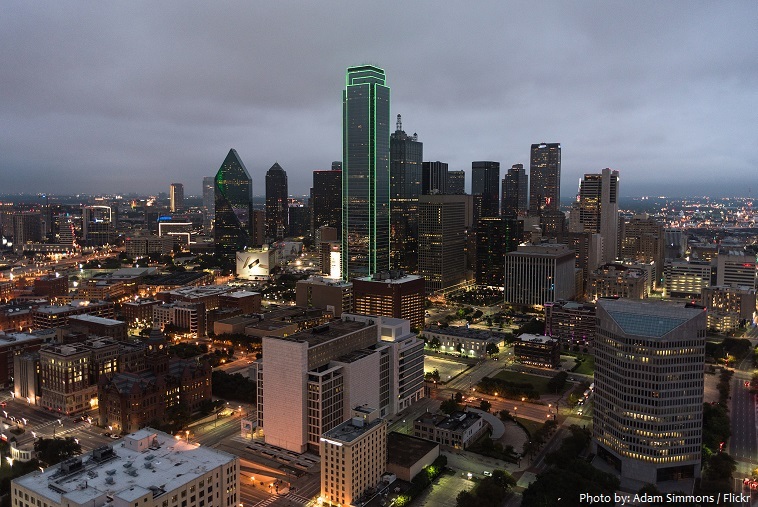 Dallas lies at a mean elevation of 131 meters (430 feet) above sea level. The city is situated on the rolling plains near the headwaters of the Trinity River in an area known as the black-land prairies, midway between the Piney Woods of east Texas and the Great Plains. Preceded by thousands of years of varying cultures, the Caddo people inhabited the Dallas area before Spanish colonists claimed the territory of Texas in the 18th century as a part of the Viceroyalty of New Spain. In 1841 John Neely Bryan, a lawyer and trader from Tennessee, built the first cabin (now restored) in the area on the riverbank. Other settlers moved into the region, and a town site was laid out in 1844. 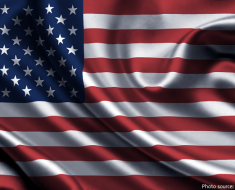 The origin of the community’s name is uncertain; most likely it is named for early settler Joseph Dallas or for George Mifflin Dallas, vice president (1845–49) of the United States. Its early settlement was augmented by Swiss and German immigrants and in the late 1850s by French artisans from the unsuccessful Fourierist utopian colony at nearby La Réunion. Large numbers of African Americans moved into the area after the American Civil War. After WWII, the city became home to numerous insurance corporations and banks, making it an important business and financial center. The assassination of John F. Kennedy, the thirty-fifth president of the United States, took place on November 22, 1963, in Dallas. 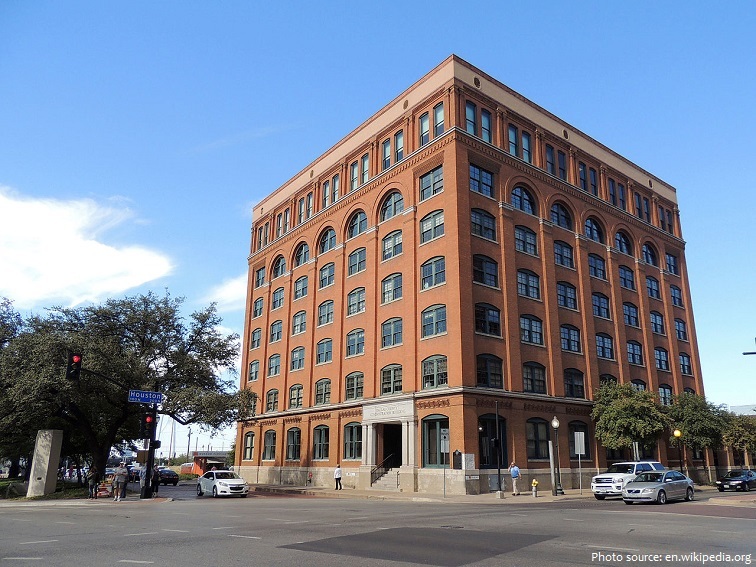 It was from the sixth floor of the Texas School Book Depository in Dallas that the fatal shot that took President John F. Kennedy’s life was fired. Now home to the Sixth Floor Museum, this tall red brick building offers a detailed account of the assassination, as well as Kennedy’s legacy. 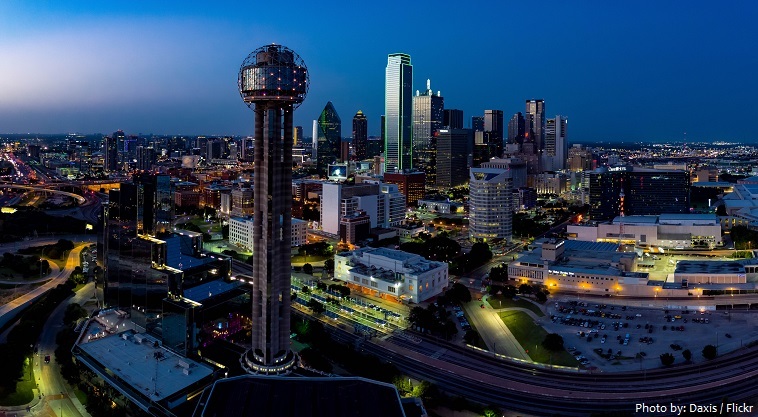 Dallas today is a cosmopolitan city known for its high concentration of restaurants and shopping centres. Skyscrapers, such as Bank of America Plaza (1985) and Reunion Tower (1978), create a striking night skyline. Reunion Tower is a 171-meter (561-foot) observation tower. It is one of the city’s most recognizable landmarks. The tower is part of the Hyatt Regency Hotel complex, and is the city’s 15th tallest building. At night, the globe at the building’s top is illuminated with 259 custom LED fixtures, manufactured by Altman Lighting and Color Kinetics, a division of Philips Solid State Lighting. 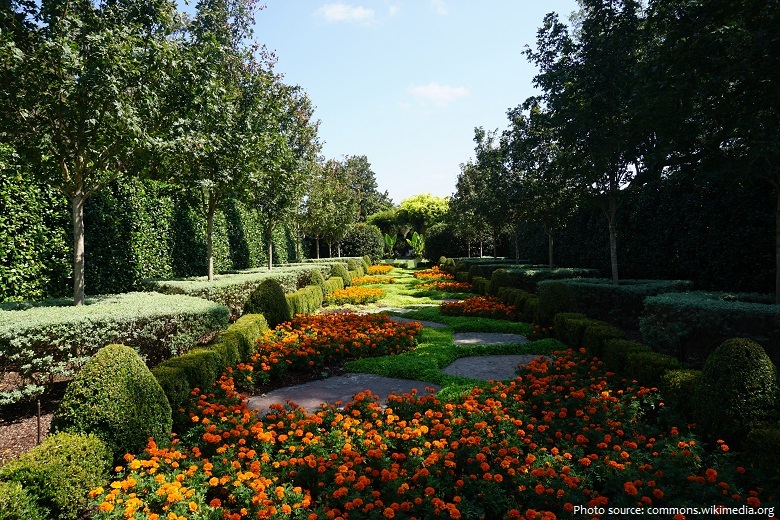 Dallas also offers plenty of things to do outdoors, including a visit to the lovely Dallas Arboretum and Botanical Garden. It is a 26.7-hectare (66-acre) botanical garden. The arboretum is a series of gardens and fountains with a view of the lake and the downtown Dallas skyline. The majority of the grounds were once part of estate known as Rancho Encinal, built for geophysicist Everette Lee DeGolyer and his wife Nell. Mrs. DeGolyer’s interests included her extensive flower gardens. The city is home to several excellent museums. 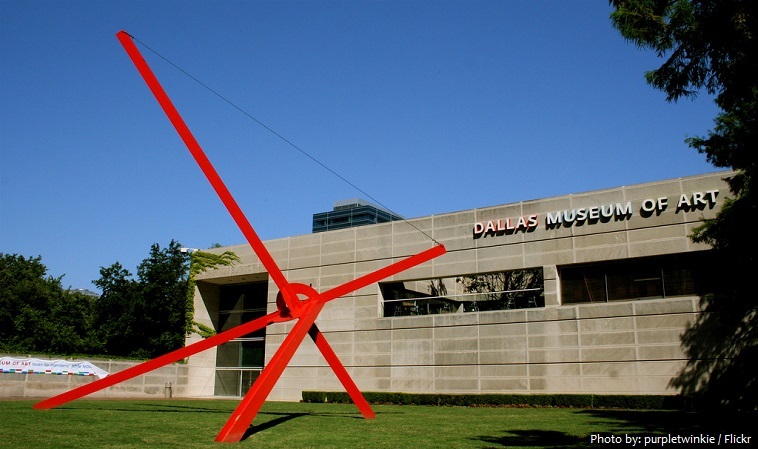 The Dallas Museum of Art (DMA) is an art museum located in the Arts District of downtown Dallas. The museum collection is made up of more than 24,000 objects, dating from the third millennium BC to the present day. 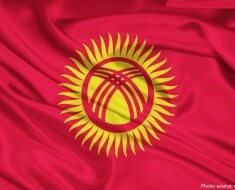 It is also defined by its dynamic exhibition policy and award-winning educational programs. The Mildred R. and Frederick M. Mayer Library contains over 50,000 volumes available to curators and the general public. With 159,000 square feet (14,800 square meters) of exhibition spaces, it is one of the largest art museums in the United States. 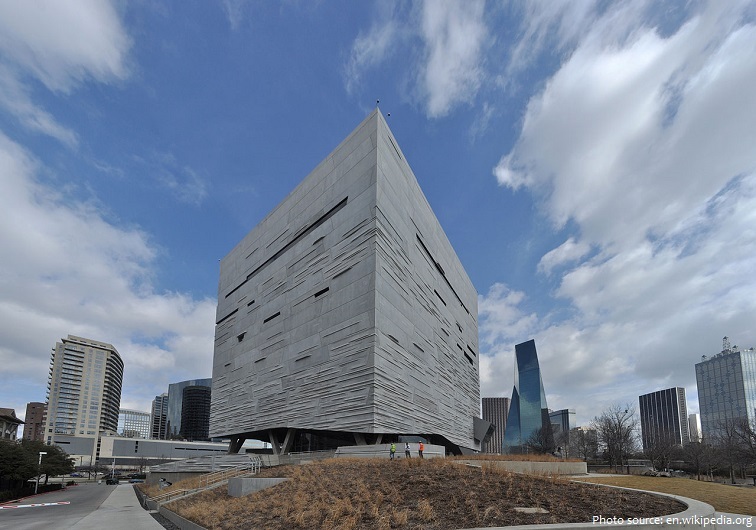 Housed in a massive architectural masterpiece designed by Thom Mayne, the Perot Museum of Nature and Science is a top Dallas attraction for families and curious tourists. The museum is divided into thematic areas with interactive educational stations, games, and high-tech displays. These themes include engineering and innovation, energy, evolution, earth sciences, and more. 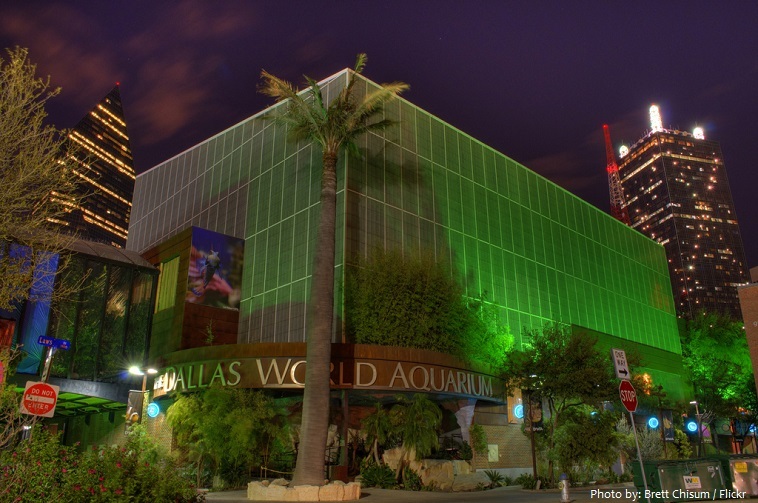 The Dallas World Aquarium is a for-profit aquarium and zoo located in the West End Historic District of downtown Dallas. It aids conservation and education by housing many animals that are threatened or endangered as part of a cooperative breeding program with other zoos around the world. It has been an accredited member of the Association of Zoos and Aquariums since 1997, and is a member of the World Association of Zoos and Aquariums. 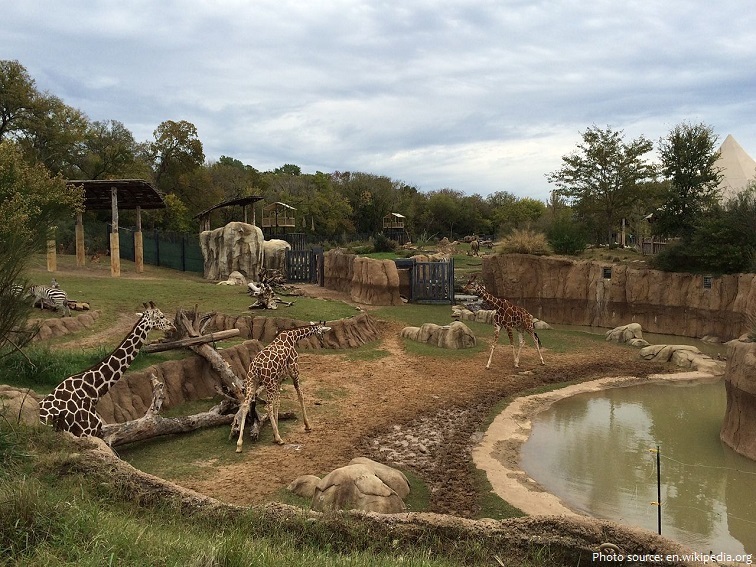 Dallas Zoo is a 43-hectare (106-acre) zoo located 3 miles (5 km) south of downtown Dallas, Texas, in Marsalis Park. Established in 1888, it is the oldest and largest zoological park in Texas and is managed by the non-profit Dallas Zoological Society. It is home to over 2,000 animals representing 406 species. 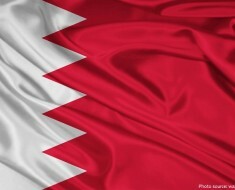 It is an accredited member of the Association of Zoos and Aquariums (AZA), and is a member of the World Association of Zoos and Aquariums (WAZA). Dallas is rated a “beta(+)” global city. Its climate is humid and subtropical, characterized by hot summers and mild winters, with snowfall rare.